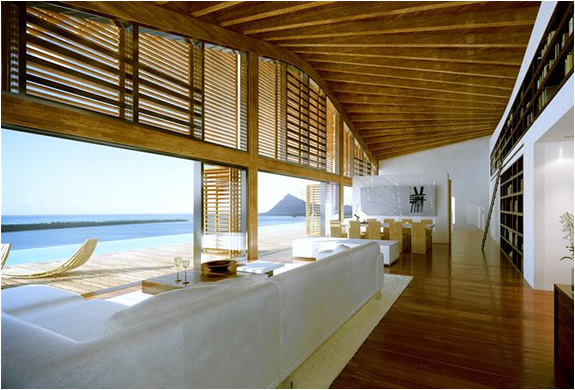 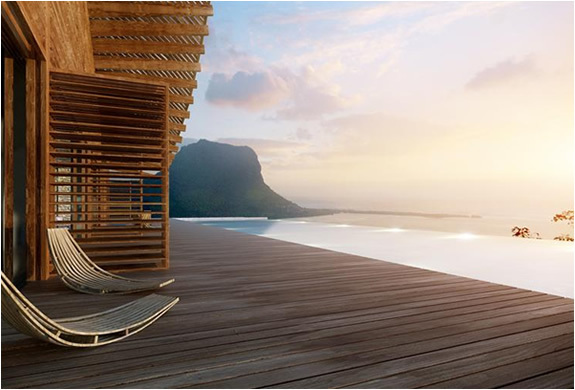 This eco friendly resort located in Mauritius was designed by renowned architects Foster and Partners. 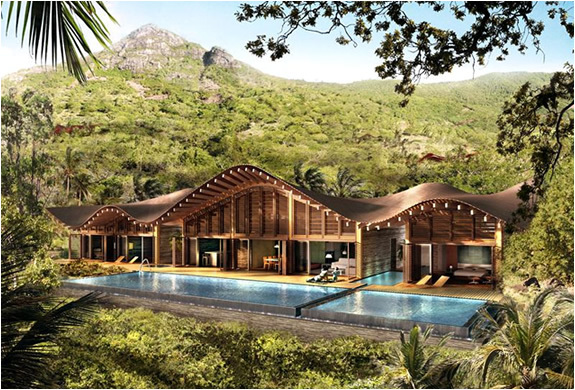 The master plan is for a discreet and environmentally intelligent architecture that blends harmoniously with the lush and extensive landscape. 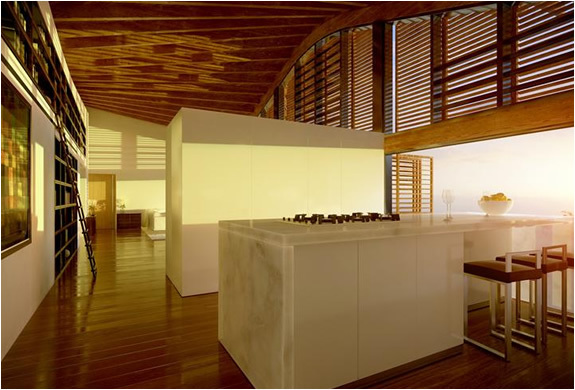 The buildings are equipped with green technologies such as water collectors and solar panels. 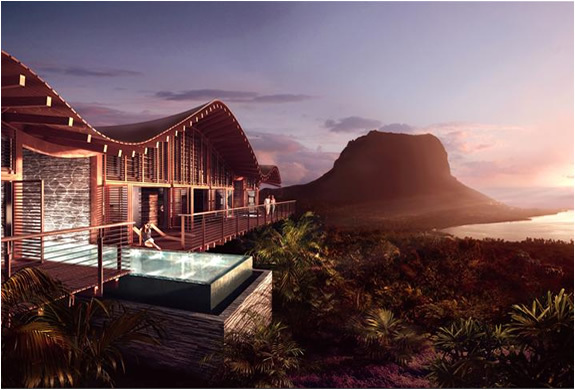 The striking wave-like, curving roofs are designed for optimum natural ventilation, and to collect rainwater for treatment and reuse.